My 2018-2019 events are still in formation, but I wanted to get these two important fall dates public and on everyone's calendar immediately. Please click the icons to learn more about each event, and check back regularly to learn about more upcoming readings and lectures. The spring events are especially varied and promising; please consider attending if you live near Philadelphia, Dallas, or San Francisco. Information has been updated. 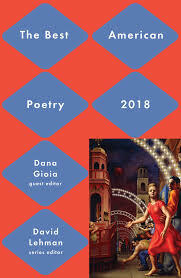 September 20th (Thursday), 7:00 p.m. Official launch of Best American Poetry 2018 (edited by Dana Gioia) with a reading by the included authors. Tishman Auditorium (66 West 12th Street, NY 10011). October 28th (Sunday), 6:30. The annual First Things magazine poetry reading. I will be reading selections from Some Permanent Things and The Hanging God​ as I join this wonderful annual tradition. Immanuel Lutheran Church (124 East 88th Street, New York City). 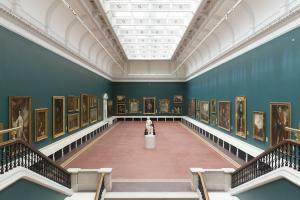 Admission is free, but click the icon at left to register. January 27th (Sunday), 11:00. René Girard and the Catholic Artist. Joseph Bottum, Cynthia Haven, James Matthew Wilson, and Alfonse Borysewicz, whose paintings will be exhibited in the vestibule of St. Ignatius Church on the University of San Francisco campus, San Francisco. Event will take place at Fromm Hall, University of San Francisco. Click the Icon for free tickets. February 6-7th (Wednesday-Thursday, Two Events). Villanova University will host a regional launch of The Best American Poetry 2018 anthology (5:00 p.m. Connelly Center Cinema; 6:15 Reception and Book signing, St. David's Room), with an evening of readings by the poets and reception and book signing afterward. David Lehman, Mary Jo Saltar, Maryann Corbett, Adrienne Su, Ernest Hilbert, Ryan Wilson, and James Matthew Wilson will read from their work. On Thursday, the 7th, several of the featured poets will reconvene to discuss The Future of the Catholic Imagination in a round-table discussion (300 Saint Augustine Center). February 28th (Thursday) 4:00p.m. A reading from The Hanging God and Some Permanent Things at Baylor University (Armstrong Browning Library Treasure Room). March 28th (Thursday) 6:30 p.m. (Reception at 6:00). A ​University Bookman reading from Some Permanent Things and The Hanging God. (St. Michael's, 424 West 34th St. New York City). April 8-9 (Monday and Tuesday), TBD. The Dallas Institute of Humanities and Culture will host two days of events on The Future of American Poetry, featuring roundtable discussions, presentations, and readings with Dana Gioia, Frederick Turner, and James Matthew Wilson. 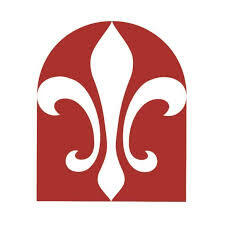 April 25 (Thursday), 7:00 p.m. A reading from The Hanging God and book signing, at Magdalen Chapel, La Roche College (9000 Babcock Boulevard, Pittsburgh, PA). 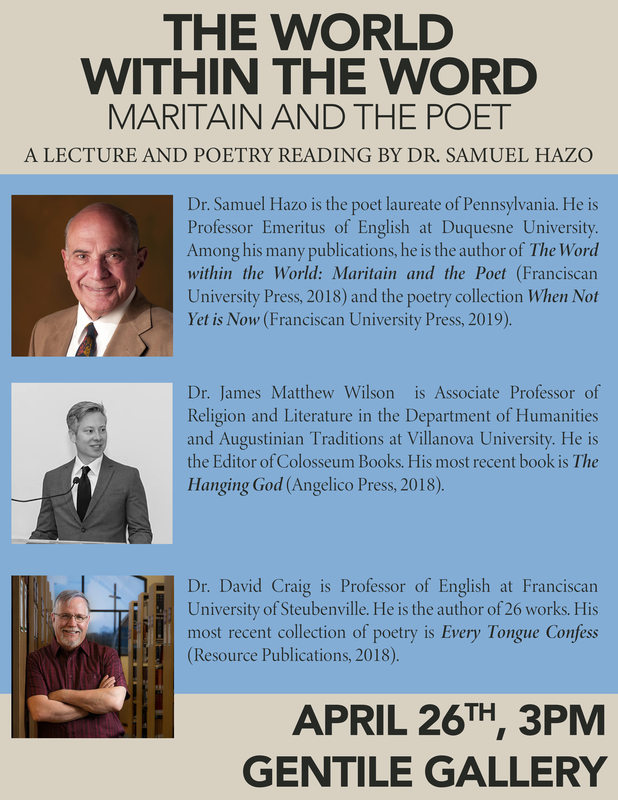 April 26 (Friday) 3:00 p.m. Lecture and Readings to launch Samuel Hazo's The Word within the World, at the Franciscan University of Steubenville. 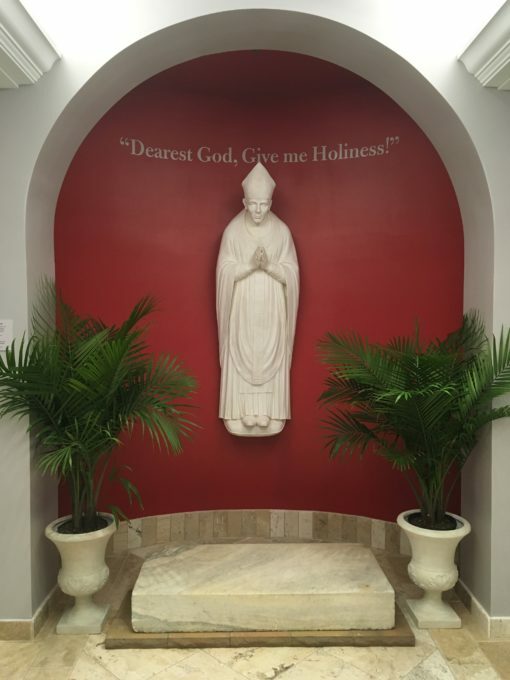 Gentile Gallery, Franciscan University of Steubenville. May 5 (Sunday), 3:00 p.m. A poetry reading with James Matthew Wilson,Ernest Hilbert and Catherine Staples. Manyunk-Roxborough Art Center (419 Green Ln. Roxborough). May 18 (Saturday), 9:30-3:30 p.m. I have been added to a lineup of great speakers for the day-long conference, Raising Chivalrous Young Men. I will give a short poetry reading at 1pm, immediately following lunch. Click the icon to register for what looks like a great day and evening. May 23 (Thursday), 7:00 p.m. Beauty that Converts Our Hearts. I'll be delivering a lecture on the good of liberal education in support of the Martin Saints Classical High School. The public is invited to attend, especially those who may be considering classical education for their children. I have had a spate of publications of late and so gather them here for your convenience and, I hope, pleasure and edification. Most recently, National Review has published my sonnet, "For Russell Kirk." Raise a voice to the love of order by clicking the NR​ icon. 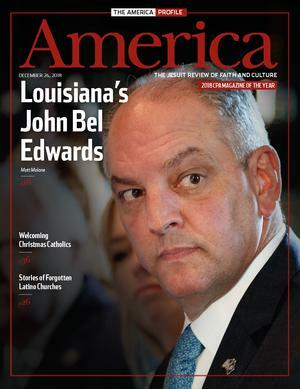 The latest edition of my column for The Catholic Thing has appeared: "Go Figure." You can read it by clicking on the icon at left. A new magazine, The Agonist, has assembled a really astonishing line up of writers, both of prose essays and reviews as well as poetry. It is hard to make the case for a new magazine; this one has justified its appearance simply by gathering writers of whom I can never read too much. Three of my poems appear in the second issue, each one part of a string of different types of quatrains I was working in this last summer: "A Withered Tree," "Revolutions," and "Babuskas." Click the Agonist icon to read. I wrote "Revolutions" on September 11, 2018, and never did I imagine it would so precisely describe my own personal situation seven months later, but, alas, it does. Tim Bete has republished "Solitaire" from Some Permanent Things Second Edition, Revised and Expanded, in the Catholic Poetry Room. Click the icon to read. ​While I am at it, here is your reminder that I will be reading in Pittsburgh and Steubenville next Thursday and Friday. See my events announcement elsewhere on this page for the details. 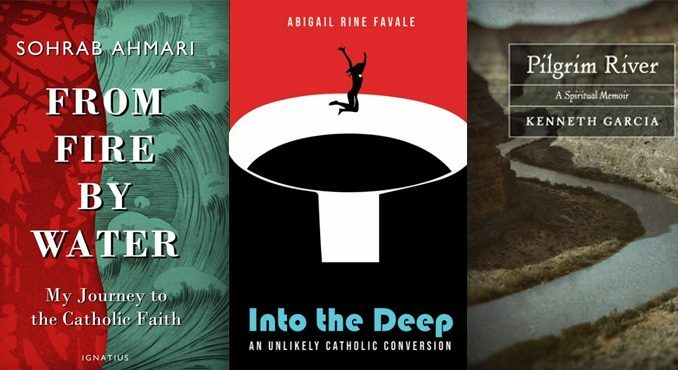 If you haven't visited in awhile, you might also have a look at my three new poems in Dappled Things and my review essay on Catholic conversion stories in Catholic World Report. I've added icons for all three at left. Click away! 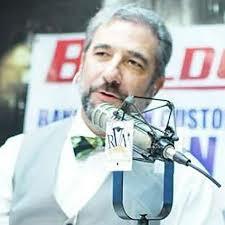 I will be on the Mike Church show tomorrow, at 1pm EST, to recite my Stations of the Cross. Tune in, if you can; the show will likely release the recitation as a podcast later in the day. Click on his mug to learn more about the show. 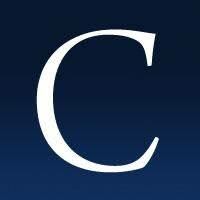 I have not provided a link to my recent Wall Street Journal article anywhere on this site, because that is not a "new publication," it was an alarm bell, and I hope it results in swift changes by the Villanova University administration to ensure the future of liberal education on our campus. As I was getting ready for my trip to New York, to deliver a poetry reading sponsored by the University Bookman (see my calendar of events page), I noticed that Dappled Things has released its new issue online, wherein three of my poems appear. "The Imaginary Chapel" and "In the Cry Room" are excerpted from Some Permanent Things Second Edition, Revised and Expanded. They are small selections from my longer sequence, "Four Verse Letters." Have a look by clicking the issue cover at left. And, ahem, you may even find yourself moved to pick up a copy of the Second Edition. Dappled Things also includes "On a Rain Barrel," which is part of my ongoing "All Things" series, a series that will be collected in my next full-length collection, On the New Physics (I note rather prematurely, as I am keeping it embargoed for another three years). I have included a link to the whole table of contents of the new issue, not only to make it easier to access any of the three poems, but also because the whole issue is really terrific. Maryann Corbett's poems are, per usual, models of excellence. "Literary taxonomists would peg Wilson as a formalist. But while his mastery of meter, rhyme, and stanza is certainly noteworthy, what is really remarkable is how this virtuosity is so completely subordinated to the imaginative vision informing the poems." Read the whole thing by clicking the book cover! Last month, I appeared on John Gray's talk show, Mosaic, sponsored by the Archdiocese of San Francisco, along with fellow poet and essayist, Joseph Bottum, to talk about Rene Girard, art, and Catholic artists. You can view the interview below. Aside from joining two friends whom I've long admired, I was also pleased to recite my poem, "A Prayer for Livia Grace," as a reminder of how to keep oneself human in an increasingly dehumanizing age. Encountering the Beautiful: New Review! You may have previously seen Steven Knepper's insightful and generous reviews of Some Permanent Things and The Hanging God, in The University Bookman. I have been broadcasting the latter for a couple weeks now, as it is such a satisfaction. In the new issue of Humanitas, Knepper has reviewed The Vision of the Soul: Truth, Goodness, and Beauty in the Western Tradition. His is the first review to engage thoroughly with the argument and to specify the effort the book makes, among many contemporary efforts, to renew a rich everyday metaphysics in philosophy and in the world more generally. If you click the Vision of the Soul cover at left, it will take you to my Sightings page, where you can quickly click on any or all of Knepper's reviews. Humanitas is not online, and so this will be the only place most people can read that excellent little essay unto itself. The official website for the Colosseum Summer Institute is still in process. In the meantime, here is the official announcement and application information. Click the Colosseum Books Logo to download a pdf version. Applications are now being accepted. 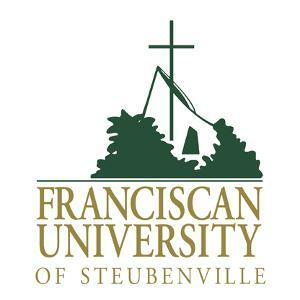 Colosseum Books and the Franciscan University of Steubenville invite applications to the Colosseum Summer Institute. The Institute is an annual, intensive course and workshop in the art of poetry for aspiring writers who wish to apprentice themselves to the great and enduring tradition of Catholic letters. Come to the Franciscan University campus (in Steubenville, OH) for four days of study, conversation, writing, and critique. We will examine the philosophy of art and beauty alongside the history of poetic form, and will gather all things together in the actual practice and discussion of the art of poetry. We hope to renew the tradition, to strengthen contemporary literature, and to build up a community of writers who care about making a good work, at once well-crafted and spiritually profound. 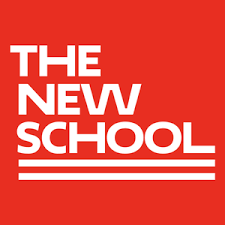 The Colosseum Summer Institute will begin the evening of July 8, 2019, with a dinner reception and public reading. For the next three days, participants will convene each morning for two courses: the first, to discuss the philosophy and purpose of art and beauty in the life of the Christian, and the second, to study the history and practice of prosody in English verse. After lunch, participants will have much of the afternoon to work on their poetry, before convening in the late afternoon for an intensive workshop to evaluate and improve their work. Each evening, after dinner, participants will have the opportunity to attend a public poetry reading by a distinguished writer or musical performance and to gather for convivial discussion. Opportunities to learn more about contemporary literary publishing and for participants to perform their own work will also be included among the activities. The Institute will conclude on the afternoon of July 11, 2019. The tuition for the Institute is $550 and is all inclusive: each participant will have a private room (with air conditioning and private bath); all meals catered (breakfast, lunch and dinner); and we will also provide transportation to and from the Pittsburgh airport, for those who need it. To apply, please send (as a single .pdf document) a letter explaining why you wish to attend the Institute and a portfolio of 4-5 poems, with “Colosseum Summer Institute” in the subject heading, to fup@franciscan.edu (limited to 15 students; application deadline is May 31st). Applicants must be at least 18 years of age by start of the Institute. Accepted participants will be expected to be familiar with the basic terms and concepts of English prosody prior to their arrival for the Institute; a recommended reading list in support of that end will be sent to all participants in early June. About Colosseum Books. Colosseum Books is an annual series of volumes of new poetry and poetry criticism that exhibit spiritual and intellectual depth and an understanding of verse as a craft guided by enduring tradition, metrical rigor, and a commitment to the well-made thing. Each Colosseum book will be published by the Franciscan University of Steubenville Press. In the ancient world, the civilizational achievements of Rome were transformed and leavened by the spirit of Christianity. The Colosseum stood as a symbol of the struggle and suffering such a new birth entailed, but also of final victory and union, as Christendom emerged to take possession of the treasures of Athens and Jerusalem with Rome as its spiritual capital. We honor that spirit of engagement and enduring tradition by seeking to perpetuate it through the publication of good new work by contemporary writers. At Bar Harbor Once, and Once . . . This is an ongoing announcement; read down for periodic updates regarding "On the Shoals." One of my more ambitious early undertakings as a poet was a series of poems set in Ireland. Over the years, all six have appeared in a couple magazines (Modern Age and Alabama Literary Review). But as I collected and revised them for my next (years from now) book of poems, On the New Physics, I found myself making so many changes that I thought it appropriate to republish them in their new forms well in advance of the appearance of that book. And so, beginning today and continuing for the five weeks to follow, The Imaginative Conservative will publish in serial form the complete sequence, On the Shoals. The first installment is "On a Sculpture by Herbert Adams," which you can read by clicking the image of the Irish National Gallery above. I will update this notice and repost it in the weeks ahead until the whole series has been published. I thank Modern Age and Alabama Literary Review for permission to republish; the Imaginative Conservative for running this series in what I hope is a more satisfactory final form; and the spirit of Denis Devlin, whose densely loaded rifts of ore in sesta rima first inspired the series. 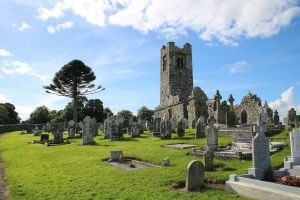 I am pleased to say that Imaginative Conservative has just published "Slane Hill Graves," the second in the sequence of poems, "On the Shoals," which that magazine will be publishing over the next several weeks. Click on the Hill of Slane above to read. The Imaginative Conservative has now published the revised version of "At Bar Harbor Once, and Once . . ." The third poem from "On the Shoals," and I think the most ambitious, with its movements between Maine and the Aran Islands. Click the photography of Innis Mor to read the poem. 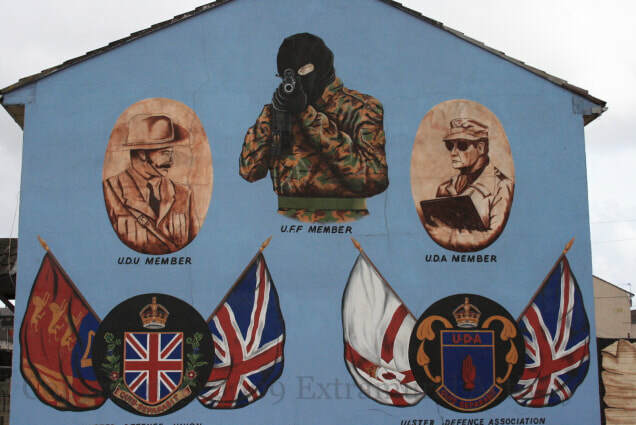 The Imaginative Conservative has just published "The Shankill Road," the fourth poem in the series. Click the mural to read. Today, the Imaginative Conservative publishes the fifth poem from "On the Shoals," which is called, "The Stations of Divorce." Reading it again brought back very vividly the woman in Sligo I met years ago who, as will be obvious, originally inspired the poem. Click the Viaggio​ painting to read. With the publication today of "All the Hollowed Shells," the revised and complete sequence of "On the Shoals" has been published, through the generosity of the Imaginative Conservative. I hope some readers have found this an intriguing lyric sequence. It will constitute the second section of my next book, On the New Physics (which is about three years away, incidentally but I digress. . .). 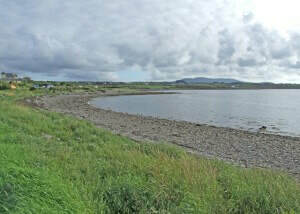 Click the Kerry shoreline to read "All the Hollowed Shells." 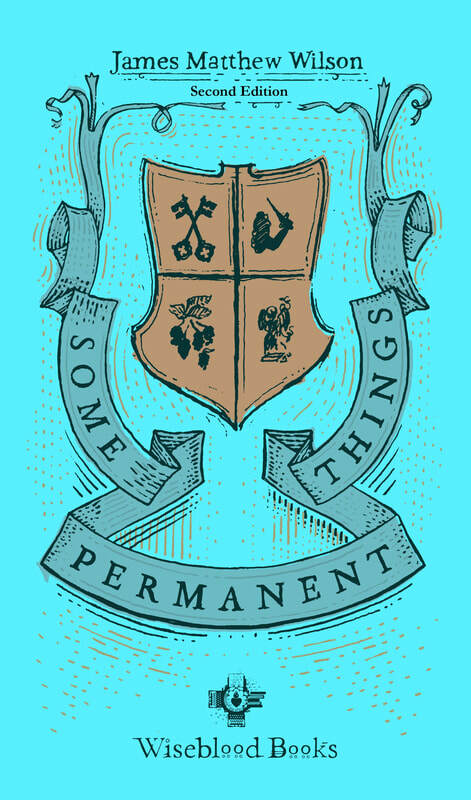 The price of Some Permanent Things Second Edition, Revised and Expanded, was supposed to rise to $16 today. It did not. The publisher lowered it to $5 (including shipping), and will keep it at this price until the end of the month. Wiseblood Books is -- truly -- offering my book at cost and for no other reason that that stated below: to make sure this book gets into the hand of everyone who wants it, of anyone who takes an interest in a poetry philosophically serious and formally well made (see reviews below). Buy one to spare for a present for someone, if you already have your own! It would be impossible to find a better price. The first edition did well; we made our profit. That's not what this new edition is about; my sole concern is that there be an edition of this book that brings the poems to as complete and thorough a classical perfection as I can attain. I want you to have my best work. I want you to have my Christmas Preface to read and enjoy through this holy season. I want those aspects of the first edition that I can no longer approve to be, as it were, forgotten and redeemed by as many people in the world as possible having this new book whose achievement I am prepared to defend. ​Now, as I was saying . . . It has been an extraordinary autumn in my little life. Those who read First Things will know what is new in the Wilson home, but the purpose of this note is to make you aware of what is new in my work as a writer. A great deal. My second full-length collection of poems has been published. The Hanging God features a Forward by Dana Gioia, and is available simply by clicking the book cover here. Glynn Young offers a terrific short review of the book, which you can read by clicking the sunlit tree to the right. As regular readers will already know, Young listed The Hanging God as the best book of poetry of 2018 in his annual "not" recommended list. My first full-length collection, Some Permanent Things, has been received very well critically, but the workmanship of nearly every poem no longer met my standards and so, over the last year, I rewrote the entire book; reordered it into the original four poetic sequences in which the poems appeared; and added new poems to bring the final sequence, "The Christmas Preface" to a conclusion. You can read the last poem from "The Christmas Preface" in America magazine. Click the magazine cover to read it. 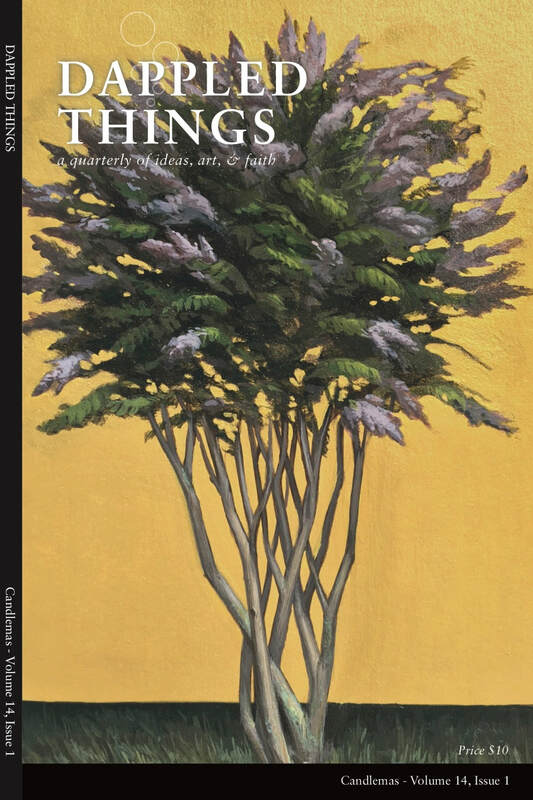 If you enjoy that poem, I implore you to consider buying a copy of Some Permanent Things, Second Edition, Revised and Expanded, for your home, your family and your friends, this Christmas. The poems of Christmas reflection and devotion that conclude the volume are, I think, my best contribution to our literature. In order to make this Second Edition as affordable as possible for every reader, including those who were so kind as to purchase the first edition, I have resigned all royalties for Some Permanent Things for the first month of its existence (until late January 2019), so that Wiseblood Books can offer the volume at the lowest possible cost. That is more than one-third off the normal discounted cover price (which is $16.50). I am not interested in making money from this book; I am interested rather in seeing that readers possess my best, and only my best, work. Please consider adding Some Permanent Things, Second Edition, Revised and Expanded, to your library or giving it as a gift to help someone carol the season with the poems of "The Christmas Preface." These are tightly woven lines seeking to impart the complexity of experience, and its intensity, too. And behind the felt moment and perceived object is a desire for something more. Some Permanent Things is the work of a man who does not scold, preach or sit high above his subjects or the reader. He tells, reports, identifies from ground view . . . Here is a prophetic cry for simply paying attention to what is. James Matthew Wilson’s first full-length poetry collection explores how we might rediscover “permanent things” in a time of distraction, disruption, and disposability. His poems depict long-declining Rust Belt cities and cookie-cutter universities, but they also affirm much—love, family, beauty, faith, contemplation, friendship, sacrifice, the humble life well-lived. . . .Throughout this fine collection Wilson seeks to recover an ancient lesson of Athens, Jerusalem, and Rome, one so widely forgotten today that it has become countercultural—the need to discipline desire in order to find a truer freedom and a richer happiness in “permanent things,” the affordances that inherited forms can provide in that pursuit. My latest column for The Catholic Thing, "Pranked by the Cross," has just been published. Click on James Joyce to read. In James Matthew Wilson’s latest collection of poetry, every moment—whether sacred, profane, or somewhere in between—points back to God. In “The Stations of the Cross” sequence, the narrator speaks in an everyday idiom as his mind wanders from news headlines, to his phone, to the story of Aeneas, to the cross. Even in moments of apparent worldliness, he concludes that “our Bodies strain for the weight you bore.” The sonnet sequence “Wiped Out” is like a photographic negative of “The Stations of the Cross.” Though the speaker recounts a relationship with a stripper, he is at least “half conscious of / the lust and lies from which I’d built my love.” These are hauntings of a prevenient grace, which, if he’s not careful, might just save him. Though Wilson’s affinity for the sonnet is clear, the forms of Hanging God vary. Wilson comes into his voice in this collection, often opting for a plain, but not chatty, style. His references to the classical canon throughout serve not to show off, but to place myth within the context toward which it points—the true myth of our hanging (and risen) Lord. If you read one book of poetry this year, make it The Hanging God. In the literary world, any review is considered a good review, but I have been singularly blessed in my critics. I encourage you to take Mr. Ratelle's advice, by clicking the book cover above. I more or less got my start as a writer publishing essays and articles on Catholicism and culture. As of this month, I'll be returning to that on a regular basis, with a new monthly column for Robert Royal's daily magazine, The Catholic Thing. You can click the icon to read my inaugural contribution, "On Being Catholic Modern." From time to time, I have published pieces on the more abysmal skirmishes in "culture war" in Crisis Magazine, and I return to those pages this morning with a short essay "On John Crowe Ransom's Newly Discovered Agrarian Classic." Click the icon to read. If all goes according to plan in 2019, I'll be offering you at least one new poem and one new column every month, as well as a handful of longer review essays on Catholicism and poetry for Catholic World Report. Click the icon to see what I've published in the series so far. And, if these ambitions do not blow up in my face, my next book of literary criticism will be complete and in press by the start of 2020. Colosseum Books, the series I edit, will bring out its first two books, one of poems and one of criticism, each by Samuel Hazo, sometime this year. ​In the meantime, I hope you'll continue to follow my new work and, of your charity, to keep on your shelf my two books of poems which, in their final state, I hope provide adequate testimony to my work in the art form I revere. What is the purpose of an author's site but to spread word about the author's work? And so, I'm happy to share two tidbits of good words here, as we approach the Christmas Season. It was a good year for poetry. Highlights for me included The Chance for Home by Mark Burrows, The Fall of Gondolin by J.R. R. Tolkien, Transplant, Transport, Transubstantiation by Marjorie Maddox, and The Bell and the Blackbird by David Whyte. 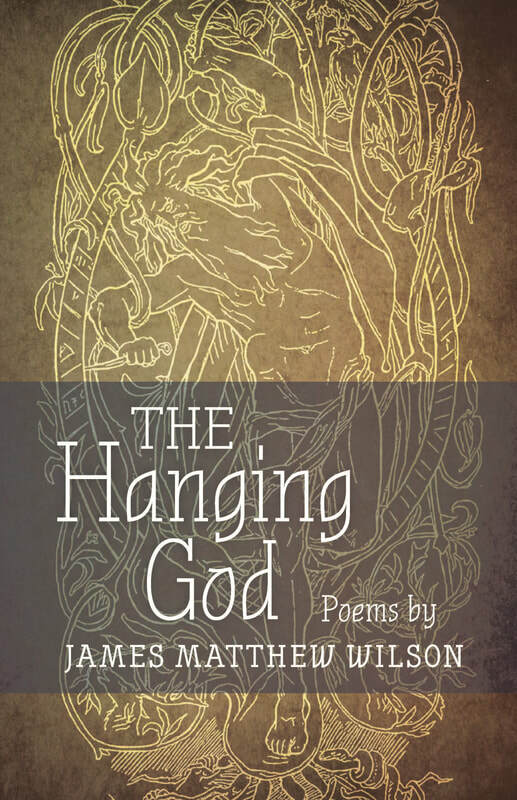 Last year, I wrote that “James Matthew Wilson seems to write a brilliant book each year.” On cue, his collection of poems, The Hanging God, arrived a few weeks ago. Wilson is remarkable poet on several counts, but the two that stand out to me are his theological brilliance (reminding me at times of T.S. Eliot) and his ability to employ, without any sense of manipulation, a variety of voices and perspectives. Put another way, his poems are deeply rooted in the messiness of life while drawing upon and pointing to the mysterious edges of eternity. A book to be slowly savored. Why is western civilization in a state of decay? A recent volume by James Matthew Wilson aims to answer that question and propose a remedy. Wilson is a poet, professor of religion and literature at Villanova University, and the poetry editor at Modern Age magazine, and his book, “The Vision of the Soul,” is an attempt to establish firm philosophical ground for a robust modern conservatism that can serve as an alternative to the ascendant liberal order. Unlike other recent books with more or less the same purpose, Wilson is at pains to make clear that by “conservatism” he does not mean the conservative movement or conservative politics, much less something as ephemeral as the Republican Party. A crucial part of his thesis is that conservatism is fundamentally a literary movement, not a political one, and that if we’re going to recover a sense of true conservatism in our liberal age, we need to get serious about things like beauty and goodness. For starters, we at least need to get over the notion that conservatism is primarily a set of political principles derived from the writings of John Locke. The point of the fine arts, or any art, should be to manifest beauty, which “reveals not simply our creaturely yearning for God, but our existential participation in him.” If the Enlightenment ushered in a rationalistic era “that knows nothing of the heart’s much less of the intellect’s higher aspirations,” Wilson believes we’re only going to find our way out of it by awakening those higher aspirations through the cultivation and the apprehension of beauty in every part of our lives. His book is dense and can at times be recondite and abstract, but his argument is one every conservative should take to heart. Those who follow my announcements on this web page will know that Some Permanent Things is about to be released in a Second Edition, Revised and Expanded. The same heightening of my standards, especially in regards to the use of rhyme, that led to the second edition also informed the revisions that led up to the publication of The Hanging God. Even so, a few lines that vexed me went to press still vexing me. ​In the months since, Angelico Press has graciously revised those lines to conform to my preferences; those who bought the volume prior to the Press's revisions of the text, however, may like to know what has changed. If you are one of those persons, click the book cover at left, and an Errata tear sheet will open, which you can print for your convenience. ​The changes are small; they will make no difference to most people; they make a great difference to me. Stay tuned for a more significant announcement over the weekend. The poet Jennifer Reeser recently conducted an interview with me on my Best American Poetry anthologized poem, "On a Palm," and the state of the arts and Catholicism today. It has now been published by the Benedict XVI Institute's Catholic Arts Today. Modern persons are very suspicious of goodness as a part of reality; they fear that goodness might be something that we impose by the power of our will rather than a property intrinsic to things as they exist. That's a conviction betrayed every time we use the word "values." 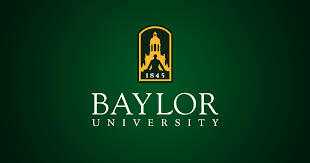 Click the Institute logo to the left to read. But don't go away just yet! Years ago, the late poet Helen Pinkerton Trimpi, to whom my new book The Hanging God is dedicated, introduced me to the online musings collected as Anecdotal Evidence, where the writer and librarian Patrick Kurp publishes short essays cobbled together out of the most wonderfully arcane literary artifacts. Through Kurp's writing, I've encountered some wonderful passages from Dr. Johnson and other fine writers whose corpulent oeuvres more or less guarantees only the very well read will know them thoroughly. Kurp, I'm pleased to note, used his platform to help promote my scholarship on Helen's poetry and, from time to time, added to that good cause some kind words on my own poetry and prose. He has now published a small essay on the final poem from The Hanging God, "Autumn Road," which you can read by clicking the photo of the Berwyn Veterans Memorial at left. As Kurp argues, that poem as all my work, is about a recovery of goodness, the goodness of being, which not only transcends the world and brings it into being, but inhabits it as the infinite interior of things. 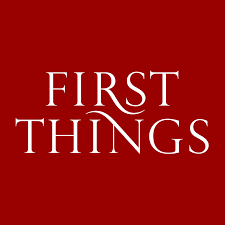 In the Sarcastic but Still Flattering department, we have the poet A.M. Juster's new discussion of my poetry and the Catholic and prosodic traditions, in First Things magazine. Click the FT logo to read Juster on a "Master of Intricate Forms." I recently sat down with Bruce Edward Walker, of Radio Free Acton, to discuss my latest book of poems, The Hanging God, and the art and tradition of poetry. You can listen to the podcast by clicking below; the interview begins at the 16:43 mark. What most pleases me here was the opportunity to recite the title poem from my first book, Some Permanent Things and to say a few words about that pretentious phrase. 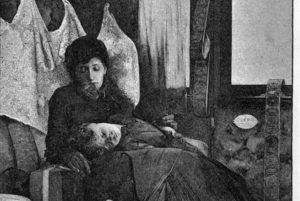 For those who find the first part of the podcast of interest (for whatever reason), with its discussion of Christianity and socialism, will be pleased to hear my essay on Hilaire Belloc's The Servile State will be out later this month. ​To learn more about my books, click the picture above. I have noticed that most of my announcements on this page begin with phrasing along the lines of, "I am pleased to announce . . ." And so I am. When I think of the writing life, I find it one of serene floating, as the rhythm of sentences come forth in response to one another until something complete makes itself known, as if emerging suddenly on shore from beneath the waves; followed by concentrated, hot-eared scrutiny, as I rewrite what seemed so good on first annunciation until it fits together tightly; and consummated by that wonderful alienation, when what came forth from me is no longer quite mine, but stands apart as something for all and sundry to see. And so, I am pleased to announce that my extended essay on that most prolific of writers, Russell Kirk of Piety Hill, has appeared in the online magazine Law and Liberty. Click the picture at left to read my thoughts on the new volume of Kirk's letters and the occasion it gives us to consider why his political imagination stands so wonderfully apart from the muck and sharp elbows of what passes for conservative politics in our degraded day. You will not be surprised to hear, will you?, that Michigan alone can save us. Call it Fordism in reverse. 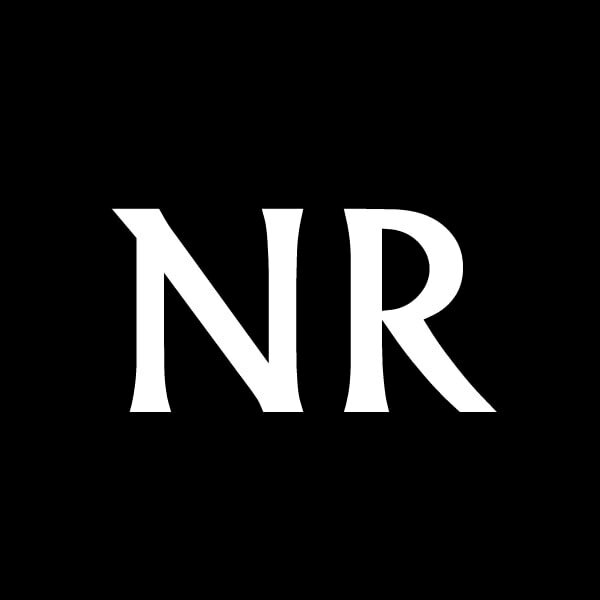 National Review has just published "A School for Eternity," my account of Alan Jacobs' important new book, The Year of Our Lord 1943. I could not say all there was to say about this book in a short review, but I do believe I said enough to explain why, as a tract for our times, it demands serious attention. 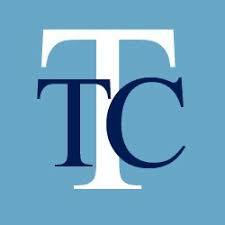 Bradley Birzer's review of the book in The American Conservative takes up some of the peculiarities of the volume that merit further discussion and also (very appropriately) considers the continuation of the Christian Humanist tradition after the War in the work of such figures as Russell Kirk. Birzer and I have been thinking along similar lines; my review essay on Kirk's letters will be published later this month, as will an essay on Hilaire Belloc's The Servile State. Click the photograph of Jacobs' favorite Christian Humanist to read the review.